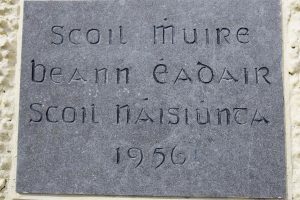 On May 20th 1956 Scoil Mhuire, Beann Eadair was formally blessed by the Archbishop of Dublin, John Charles McQuaid, and opened by Captain Gainsfort St. Laurence. unity involvement on this hillside site. The number of children attending Howth Primary School has increased by over 100% in the last ten years with a major extension project due to start early 2018. In 2016, the school celebrated it’s 60th anniversary.